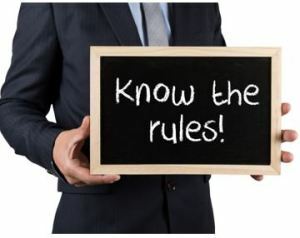 The confusion surrounding the Final Rule has cost business owners significant time and money over the past several months. Because the injunction came so close to the effective date of the law, many businesses had already taken the necessary measures to prepare to comply with the new guidelines. In many situations, this included switching hourly employees to salaried and setting their salaries just above the threshold. Once the rule was stayed, many employers kept these salaries in place, resulting in lower profits. In addition, there may be another complication for employers with higher-paid employees. The new overtime rule included a provision that applied to highly compensated employees (HCEs). Generally, a non-exempt worker would no longer be entitled to overtime if they made $100,000 per year. The new rule raised that threshold to $134,004. When the court issued the injunction, it did state that it barred the “overtime rule”. In general, however, it went on to specifically address the minimum pay threshold and not the HCE threshold. This has left some experts wondering if that part of the rule may still take effect, though there are dissenting opinions on this matter. If you have concerns about the new overtime rule or regarding any other labor or employment matter, don’t hesitate to contact the skilled employment lawyers at Structure Law Group, LLP. We can assist you in coming into compliance with all employment laws and can help to resolve any disputes that may arise. Call our office at 408-441-7500 or fill out our online contact form to schedule your appointment with a San Jose business attorney today.